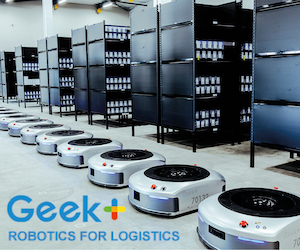 Grabit, a startup automation systems provider to the manufacturing and warehouse logistics industries, has shipped multiple units of its material handling robot, Stackit, to what it says is “an industry-leading athletic shoe and apparel company”. Grabit also shipped multiple units of Meterit, its “intelligent conveyor system”, to a “global leader” in express package delivery services. GE Digital is a subsidiary of General Electric, the quintessential American multinational corporate conglomerate with operations in more countries than the United Nations. But far from being just one of its parent company’s dozen or so subsidiaries, GE Digital is something of a shooting star, outperforming many other subsidiaries to the point where it is informing, if not transforming, the entire culture and ethos of the company. Kinema Systems claims to have launched what it describes as “the world’s first deep learning 3D vision system for industrial robots”. A large part of the world’s commerce moves in boxes arranged on pallets. Depalletizing boxes in warehouses, distribution centers and factories is a difficult task that has become more challenging with changing demographics and an increase in product mix. One of the world’s largest automotive suppliers, Bosch, provided a massive stage today for Nvidia CEO Jen-Hsun Huang to showcase its new artificial intelligence platform for self-driving cars. Speaking in the heart of Berlin to several thousand attendees at Bosch Connected World — an annual conference dedicated to the Internet of Things — Huang detailed how deep learning is fueling an AI revolution in the auto industry. 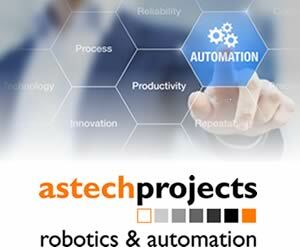 Universal Robots has developed online training modules to enable users of its industrial robots learn more about their machines’ operations and applications. The hands-on modules are offered free of charge, open to all, and built to deliver hands-on learning via interactive simulations to maximize user engagement, says the company. Learning how to set up and program a collaborative robot – or cobot – no longer depends on real life access to a robot or a training class, says Universal. Audi has been showcasing its latest innovations in autonomous driving in collaboration with Nvidia. The auto giant and chip maker call the system “piloted driving with artificial intelligence. Global auto supplier Denso has opened a new research and development lab at the University of Michigan, in the US. Denso, which used to be part of Toyota, says the new research facility will “accelerate development of new auto safety technologies and create new research opportunities for engineering students”. The company says the Denso R&D Lab gives Denso an opportunity to more closely collaborate with the university and North American automotive manufacturers on key safety technologies like machine learning, advanced driver assistance systems, and automated drive.